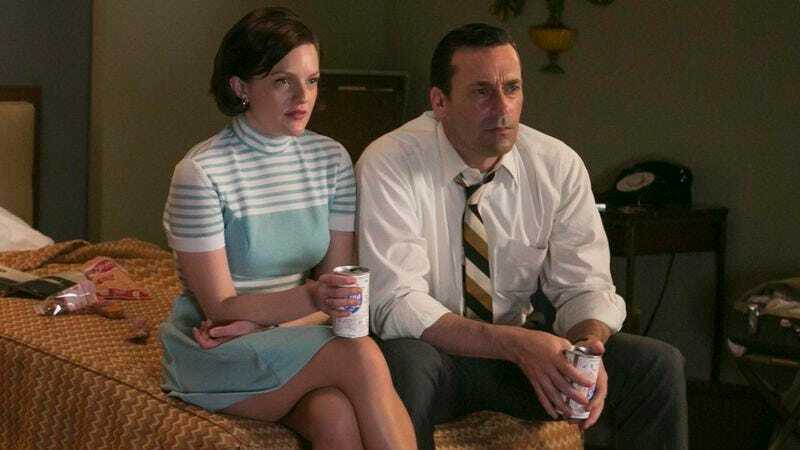 After seven seasons spent avoiding the concept and/or masking it with boatloads of booze and a snappy period-appropriate wardrobe, Truth will be one of Elisabeth Moss’ first post-Mad Men priorities. The film will find the erstwhile Peggy Olson still embroiled in Vietnam-era politics, but instead of jabbing blindly into the dark and sticking her beatnik boyfriend with a makeshift spear, she’ll be doing that with regard to George W. Bush’s service in the Texas Air National Guard. Or Robert Redford and Cate Blanchett will be doing that, anyway, with the actors previously signed on to play, respectively, Dan Rather and Mary Mapes in a dramatization of the 60 Minutes scandal that cost Rather his reputation and Mapes her job. As Deadline notes, Moss has already completed her work on Mad Men’s final seven episodes, but with so much time between now and the premiere of those episodes, there’s still a chance for Matthew Weiner and crew to work some post-production magic and make Peggy say something to the effect of “Dan Rather’s trustworthy—he’d never file a news report based on forged documents.” And then she winks at the camera, and that’s how Mad Men ends—not with the death of Don Draper, but with the forecasted death of American journalism.